mention coupon when scheduling appointment. 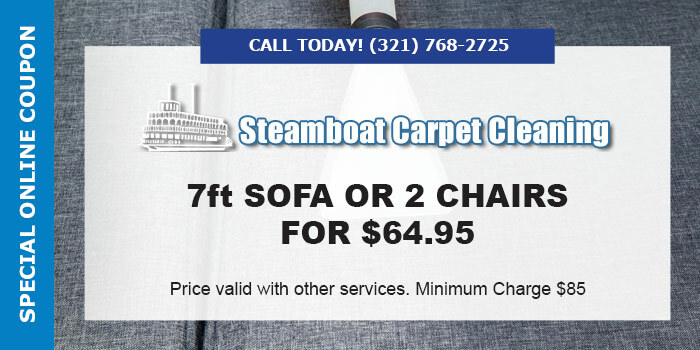 "I am sure there are hundreds of satisfied customers of SteamBoat who have acclaimed the superiority of this carpet cleaning company. At this time, I am submitting my comments concerning SteamBoat. 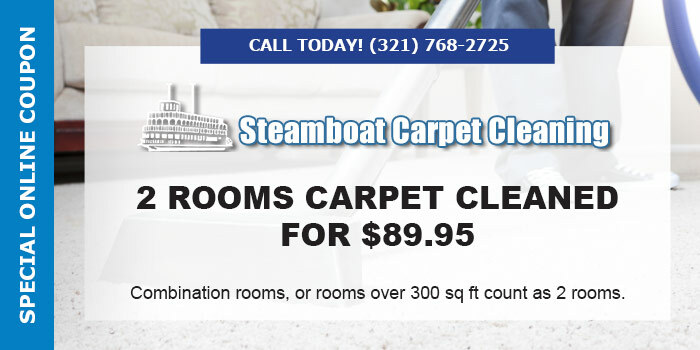 For over a decade, I have been using this top notch company into my home to clean my ten rooms of carpeting. Just when I know that they couldn't get better, they prove me wrong and DO! From the moment I contact them for an appointment until the job is completed, my satisfaction with their professionalism and expertise soars. Every time I hear someone mention that they need to have a rug cleaning company to clean their carpets, I can't help but recommend SteamBoat. 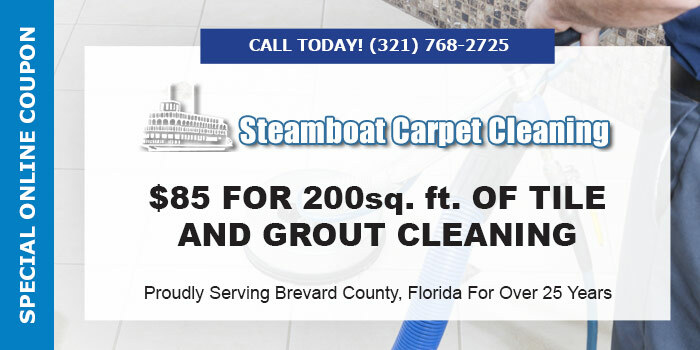 I am so delighted that they are here in Brevard County, Florida and hope that they continue to thrive for many, many years in the future. "